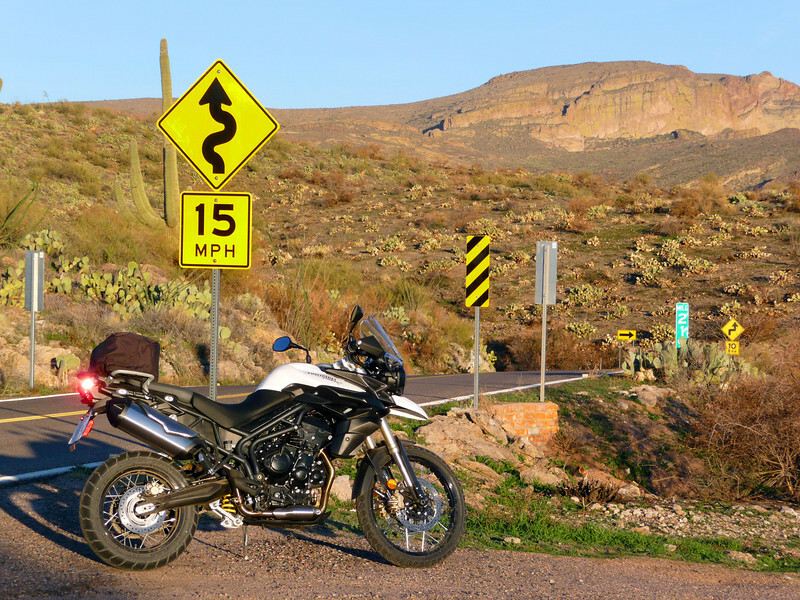 12/28/2011- Here is a brief gallery from my first and second ride up the canyon past the end of the pavement, on my new 2012 Triumph Tiger 800XC. 12/29/2011- Day 2 begins with the massive boat ramp photo. The ride began as a loop from Mesa, via Saguaro Lake Road to Hwy 87 to Hwy 188 to Roosevelt Lake, then down the dirt section of Hwy 88 to Apache Junction. See captions for details. This is one of my favorite sections, especially in the Focus. This is a couple of miles past the wash at Tortilla Flats.